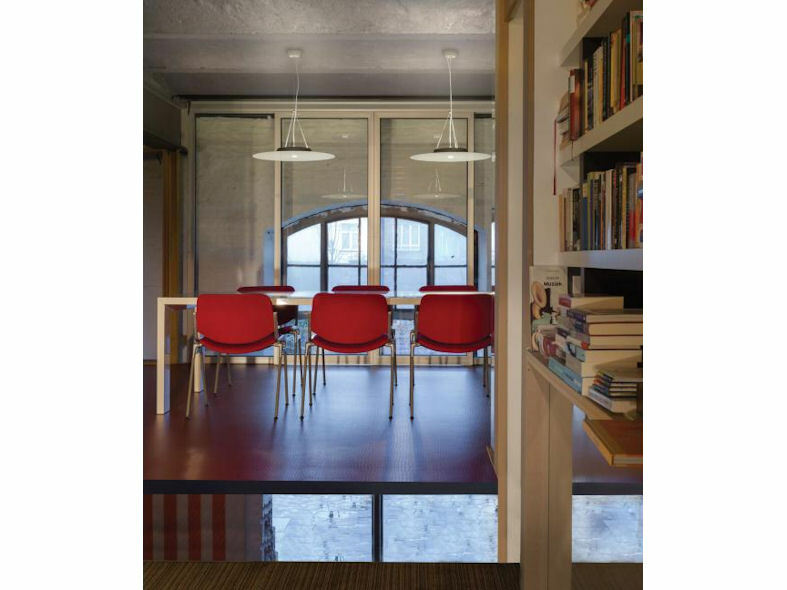 The Flac combines the minimalism of LED lighting with the presence of a pendant fixture. A flat white disk with an opening in the middle from which the light emanates in a 15° beam; perfect for use above a dining table or desk. 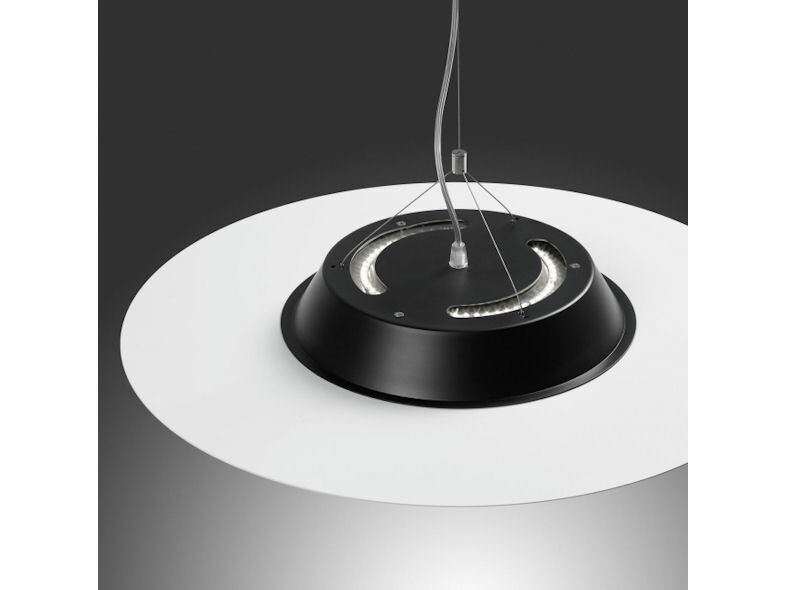 On the top of the disk a LED strip provides a powerful up-lighting effect. The power supply is discreetly built into the top of the lamp, making it virtually invisible. The Flac offers the option of "trimless suspension". 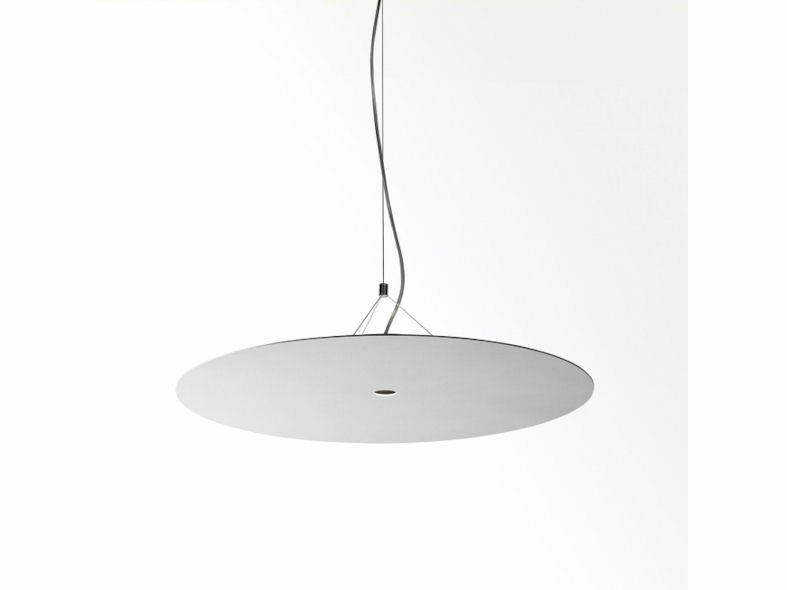 The power cable and suspension are then seamlessly concealed in the ceiling for an even more elegant finishing.